Decorate your home with this motivational wall sticker. 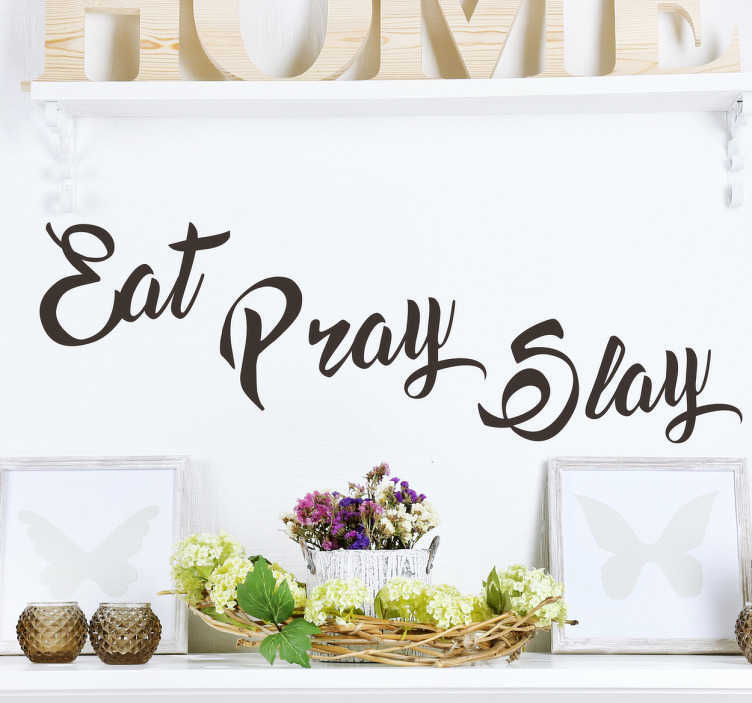 The wall sticker consists of the message "Eat, Pray, Slay!" A funny play on words from the original book eat, pray, love. However the word love is replaced with the modern term slay. Meaning to look good or succeed at something difficult. The message is written in an elegant font and is available in variety of sizes and colours.